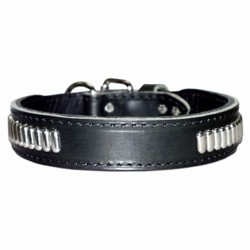 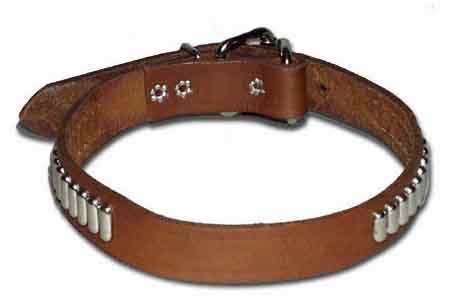 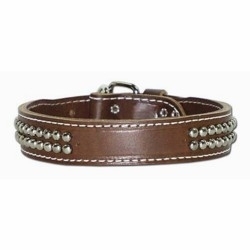 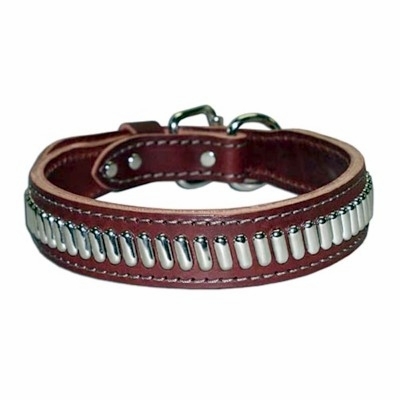 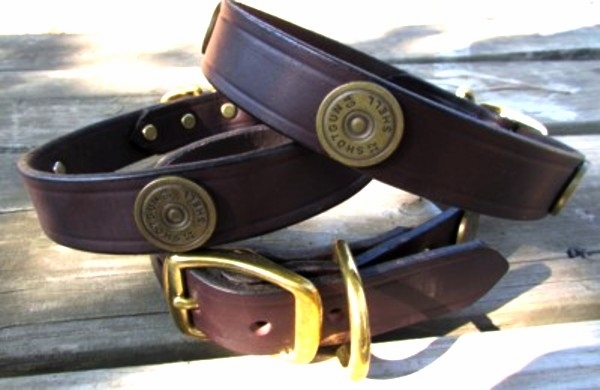 Our leather dog collars are made with the finest latigo leather available and are built to last. 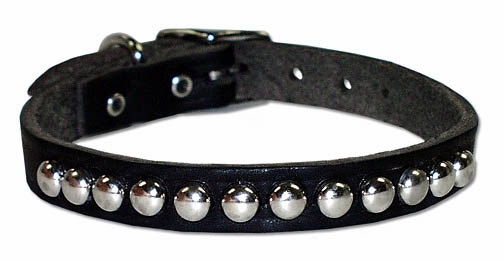 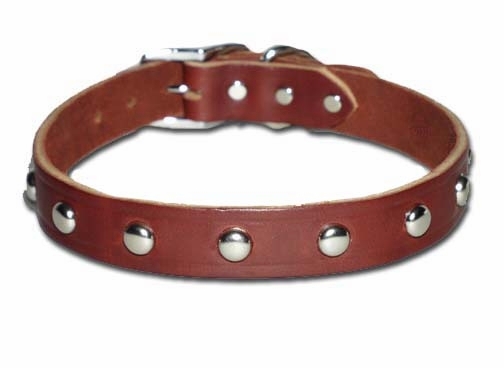 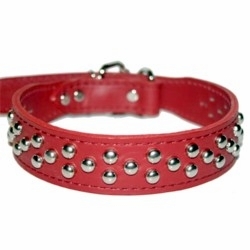 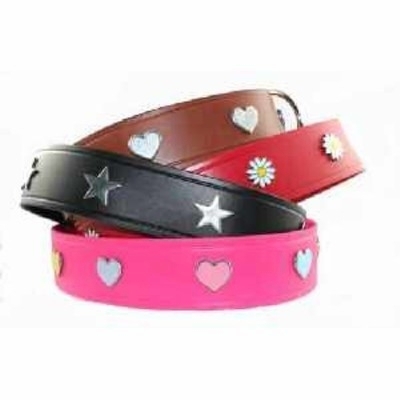 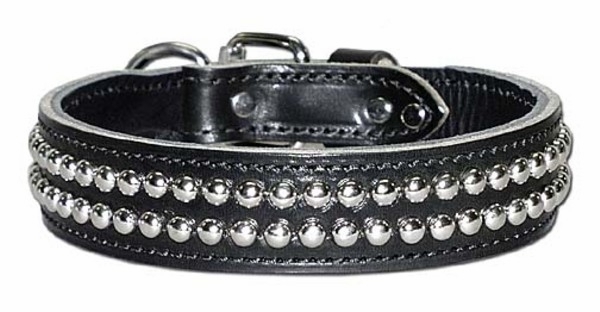 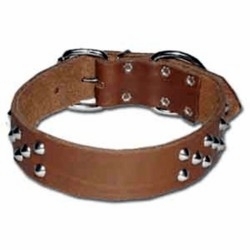 These leather collars have dome studs, round studs and oblong studs. 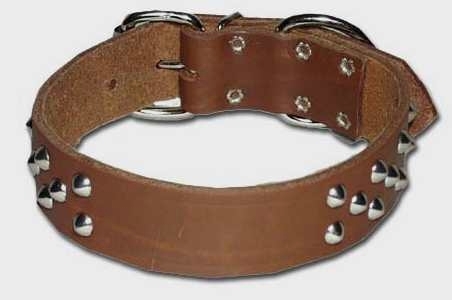 Latigo is cowhide leather that has been crome tanned and vegtable tanned with oils and waxes. 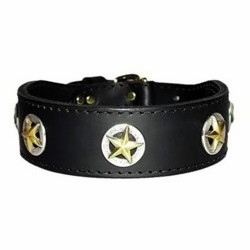 Latigo leather is durable, moisture resistant and supple. 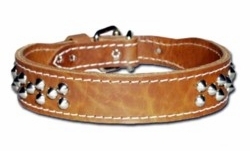 This tanning process makes latigo leather one of the best leathers available.